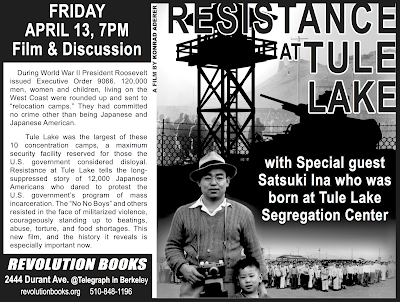 During World War II President Roosevelt issued Executive Order 9066. 120,000 men, women and children, living on the West Coast were rounded up and sent to "relocation camps." They had committed no crime other than being Japanese and Japanese American. Tule Lake was the largest of these 10 concentration camps, a maximum security facility reserved for those the U.S. government considered disloyal. 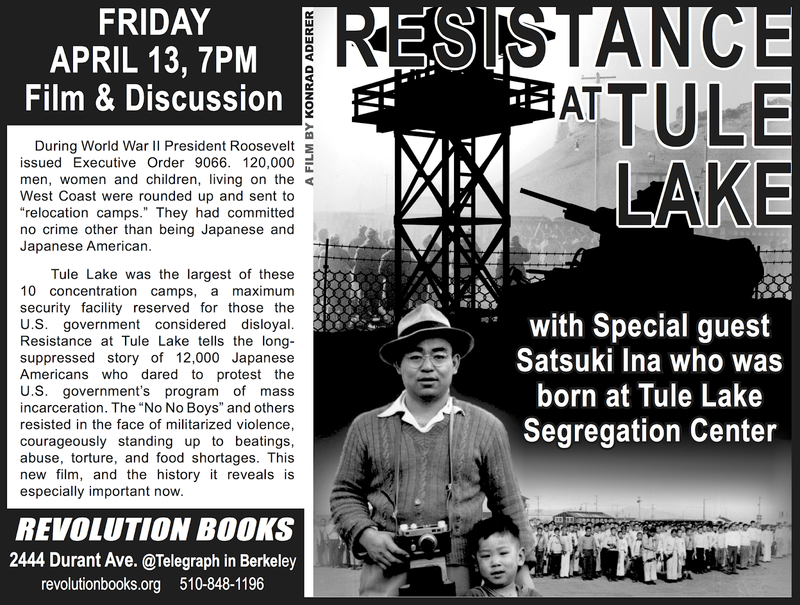 Resistance at Tule Lake tells the long-suppressed story of 12,000 Japanese Americans who dared to protest the U.S. government's program of mass incarceration. The "No No Boys" and others resisted in the face of militarized violence, courageously standing up to beatings, abuse, torture, and food shortages. This new film, and the history it reveals is especially important now.